﻿ Entertainment dinosaurs ( Pachycephalosaurus ) DWD012 - Zigong Dinosaurs World Science & Technology Co.,Ltd. 2).Movements: Mouth open and close synchronize with the sound, neck to head moving left to right-up and down, stomach breathing, tail swaying , claws forward and back , eyes blink , body up and down. 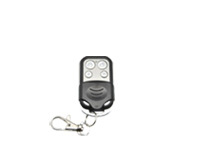 5).Accessories included: Control box with one free spare. 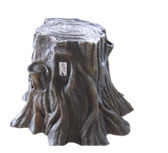 one speakers with buildin woofer and volume controler,remote control, sensor infrared control and free facts stand . 6).Remarks: All of our animatronics products made up of well treated metal frame ( international export standard) Movements,skined and fleshed with a high density foam , sculpted by our professional artists team with a high grade silicon rubber , which make an alive-look , good touch and smooth movements animatronic dinosaurs . 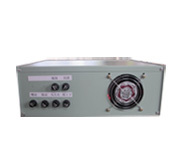 Suitable for indoor and outdoor use . We believe that quality is the most important promise that we give to our clients. 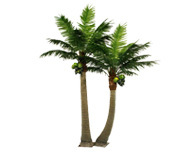 For the finished models , we carry out the policy of "no inspect , no leave ". The dinosaurs and other models we made is based on the replica of dinosaurs fossils in the museum , which perfectly match to the original one. 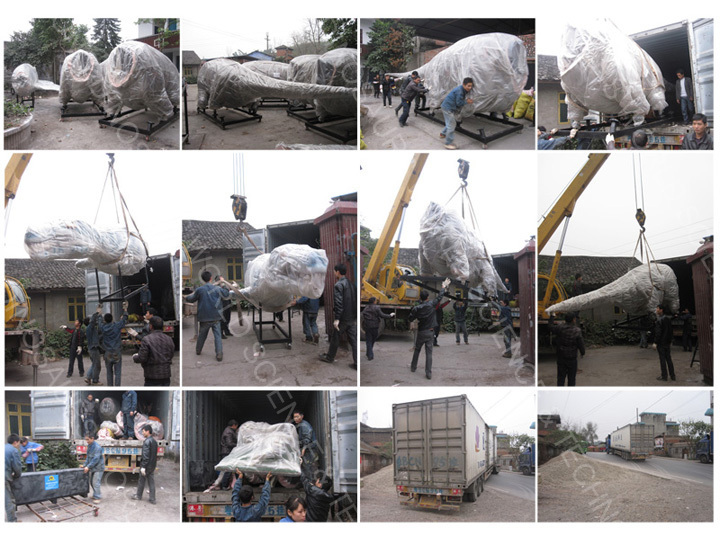 No matter how big the dinosaur is , we will finish the models completed in accordance with the customers ' requirements. All the models which finished in factory will be packed by sponge in order they are very safety on the way to the customers place. Shipping method and shipping time. 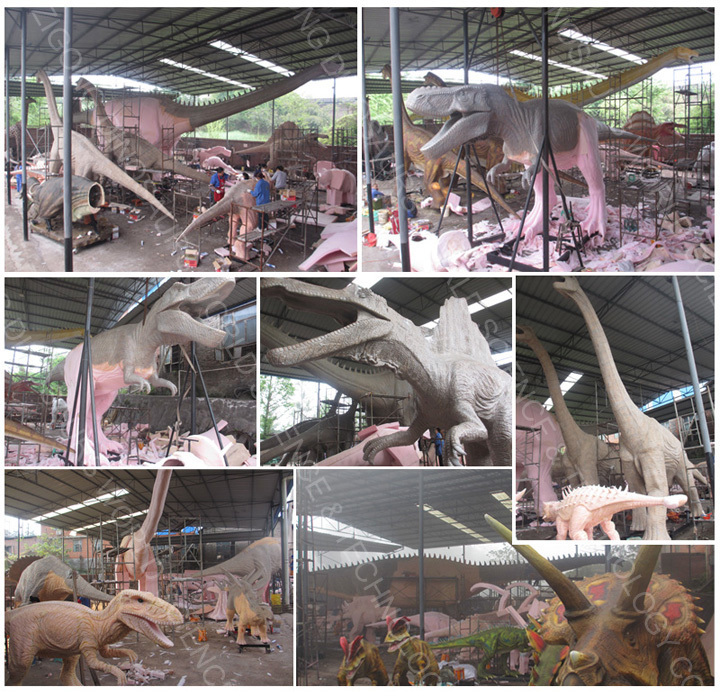 Finished Dinosaurs Testing In Factory & The models photos when clients finished in the installation in their exhibition , amusement park..etc.. 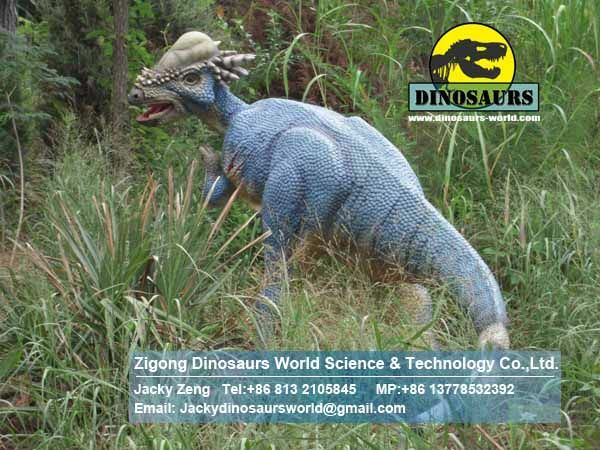 Copyright @ 2009 - 2014 Zigong Dinosaurs World Science & Technology Co.,Ltd.